Away from the skyline of Kuala Lumpur and less than two hour’s drive takes you to A’Famosa resort in Melaka. Spread over 500 acres, the resort is set amidst lush greenery with hotels, condominiums, restaurants, wildlife areas, water theme park, golf course, entertainment parks, recreational facilities and brand outlets. A’Famosa resort is an ideal place to spend your weekend or take a break from the city of Kuala Lumpur with family and children. The resort has a hotel with more than 200 units of standard room, superior room, executive suite and VIP suite. Their Condotel has almost 400 rooms classified as family studio, low rise 2 room apartments, 2 rooms condotel and 3 rooms condotel. They also have 100 villas (3 & 4 bedrooms) which have private swimming pools. All the rooms come with modern facilities such as television, mini bar, coffee/ tea making facility, wifi etc. I stayed in a superior room in the hotel which had a comfortable twin bed, was well furnished and had a balcony overlooking the greenery. They have a couple of restaurants and the one in the entertainment park which has a spooky theme served Indian cuisine with a spread of rice, sea food, curries and chicken dishes. Along with dinner, there were also dance performances. The club house with a beautiful architecture has a nice setting amidst a well laid out garden.The large club house too has a F & B outlet- Green View restaurant apart from guest service counter, prayer rooms, golf counter, banquet halls, meeting rooms, business centres, VIP rooms etc. This also makes the resort an ideal place for corporates to have their business meetings and product launches. The resort also offers numerous recreational facilities such as flying fox, archery, shooting, go-karting and paintball. With nine holes, the golf course at AFamosa is beautifully created with palm trees and rocky terrain amidst it. The golf course has also won numerous awards over the years. Old West is an entertainment park that has the theme of old Western America with cow boys, apaches on horseback and an old town setting. The Red Indian show and the colourful Carnival are the highlights here. While I got a chance to see a bit of the Red Indian show with fire blowing acts, I missed out on the rest due to a sudden shower. It also has a fun fair for children and a 4D theatre. The 4D theatre offers two shows- Haunted Office and Under Water adventure. The Haunted Office was quite an enjoyable one. There is also a display of fireworks lighting up the sky every night. The water theme park here is one of the largest in the country and has a host of rides, pools, slides and a beach. Be it families or kids, this is one of the favourite areas in A’Famosa resort. The park also has retail outlets, souvenir shops and restaurants. Safari Wonderland was personally the biggest attraction during my stay at A’Famosa resort. Elephant encounter which is a small skit showcasing how human beings and elephants co-exist was an entertaining one. The walk through area has numerous animals and birds such as camels, orangutans, emus, storks etc. However, the highlight is definitely the safari tour where the visitors are taken around in a caged van to see the animals roam freely. I feel this is what all zoos should be converted to across the world. It was an interesting ride sighting lions, tigers, hippos, crocodiles, giraffes, deer and many more. There was also a session for feeding the animals. The boat ride cross the water body to Monkey Island was another animal interaction in the safari world. The bird show was quite an impressive one with exotic birds from world over displaying their skills. 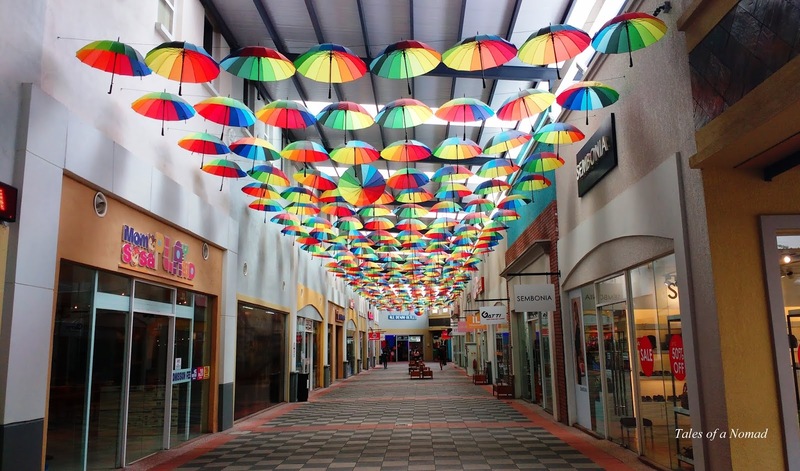 The safari park is also equipped with dining spaces, food courts and retail outlets. 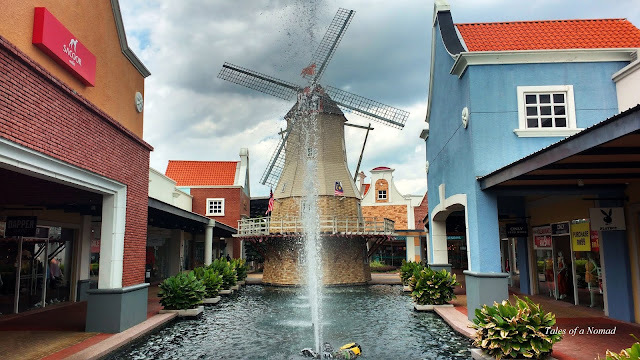 My stay at the resort ended with a visit to Freeport A’Famosa Outlet, beautifully done up with the theme of Dutch Heritage and features parks, lawns, a lake and a windmill. The outlet has more than 80 international brands and has great offers and discounts of up to 80%. The categories of outlets include children’s store, sports apparel, accessories, apparels, opticals, food & beverages and home ware. 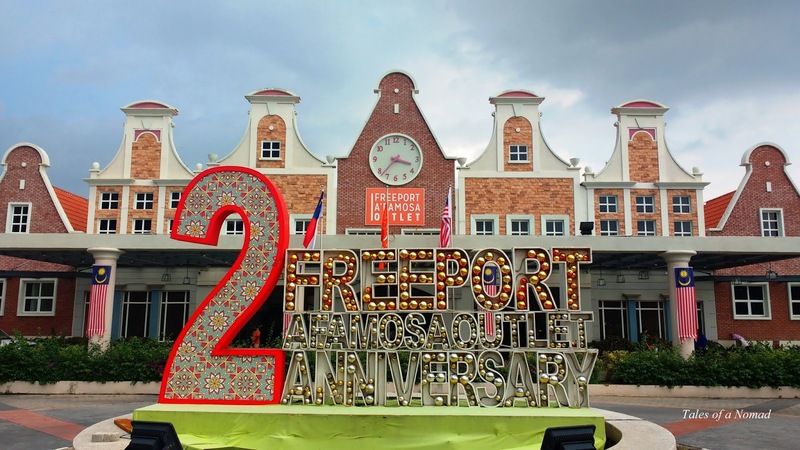 A’Famosa resort stands true to its tagline-‘There is Something for Everyone’. P.S. : I was hosted by A'Famosa resort on an invitation from Malaysia Tourism board, but the opinions are completely mine.